While I have written at length regarding one of Daedalic’s upcoming in-house developed titles, A Year of Rain, as well as one of their published titles in Felix the Reaper, there are more that are well worth looking at. 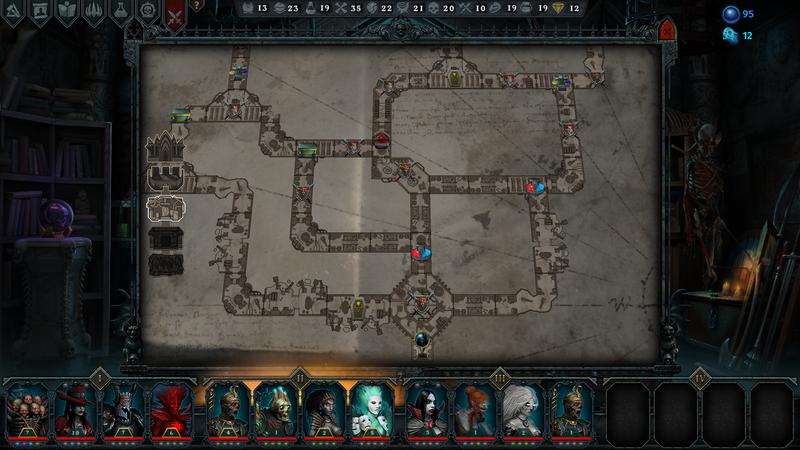 One that really caught my attention was Iratus: Lord of Death, a survival, tactical roguelike, Darkest Dungeon-em-up. It’s likely a disservice to Iratus to refer to Darkest Dungeon as much as I already have and will further when talking about the game. However, the similarities are impossible to ignore and also there is the simple fact that the developers, Unfrozen, openly admit their inspiration from the game. However, as is obvious from having seen it and having spoken to a member of the team, they are certainly aiming to make a game that suits their own vision. 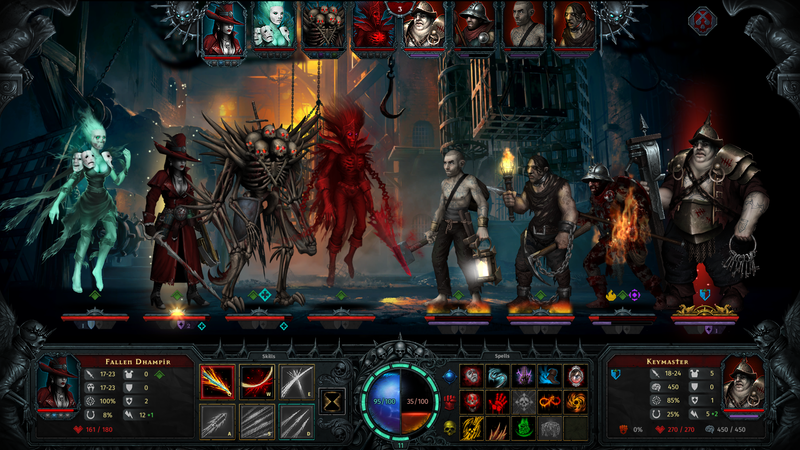 As you could imagine from the title of the game, you take on the role of Alistair, a life-giving angel Iratus, a necromancer. What does Iratus want? Pure unadulterated death. Death to all those who are living as revenge for him being held captive for a thousand years when he was thwarted in his attempts to conquer the world. He’s finally broke free of his prison so it’s time to regain his strength, raise some minions and take the fight to all those who dare oppose him. For somebody who wants to see the death of everybody, Iratus is very hands-off. Every now while showing off his power, Iratus can directly use a spell against whatever enemy you happen to be facing. It’s made obvious why villains always fail too. One of the spells Iratus uses is essentially a one-hit kill against any opponent. In the gameplay that I was shown while at Daedalic Days, not a single enemy was able to resist this. Maybe Iratus gets a bit tired after using it since it uses a lot of mana. Since he either doesn’t want to kill everybody directly himself and other than a few magic spells, Iratus won’t do battle, it’s all done through the medium of minion. In total there are 16 minion types in the game, ranging from Wraiths and zombies to dhampyr or a lich. There is a possibility for extra types to be released post-launch, but when the game comes to Steam in early access, sixteen will be the magic number. It will also be more than enough as you try to work out the best teams. Iratus can command a maximum of four teams of four minions, sixteen as luck has it, throughout randomly generated dungeons. These dungeons will all be, strangely, fully mapped out with you knowing exactly what is up ahead – to an extent anyway, you’ll know that the left path has an event, a battle and a treasure chest. You just don’t know what the chest contains, who you’ll be fighting and what the event will actually be. Exploring these dungeons, looting chests, defeating enemies and more naturally rewards you with a number of things. 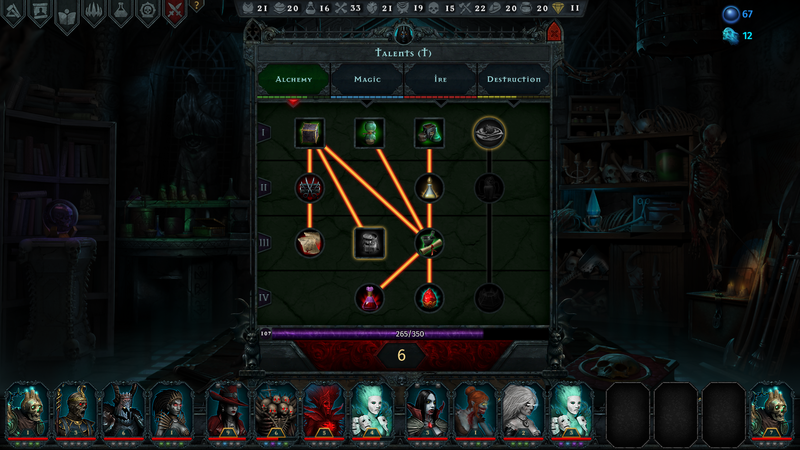 Experience is first and foremost, letting you level up Iratus and his minions. With each level Iratus gains, he also gains talent points which can be used to further increase his usefulness in helping win battles from his lofty general’s chair. There are four talent trees, these being Alchemy, Magic, Ire and Destruction. How useful they’ll all be is something we’ll all find out when the game is released. What I do know is that Magic and Destruction will be very valuable for helping to survive a battle. What is even more important in surviving the battle is how you use your minions. As simple as that may sound, because of course if you don’t attack, you’ll lose, but you also have to consider the positioning of the minions and the attacks used. Certain attacks cause physical damage while others cause mental damage. Cause enough mental damage and the enemy dies of a heart attack. So, I mentioned the positioning. Certain attacks can only do damage to somebody a set number of spaces from you. So, for example, if you’re wanting to kill a healer and your attack does damage to the character three spaces away from you, but the healer is four away, you’re out of luck. Certain abilities do let you push or pull an enemy, but you can also reposition your characters. It adds a tactical level to the combat that is rarely featured in games of this sort. Winning these battles, amongst other elements within the game, reward you with what you need to both bulk up and upgrade your army, as well as upgrade the cemetery, essentially your town. You’ll need to collect the bones and organs of your fallen foes, as well as those you find lying around, to spawn new units to do your fighting for you. In addition to spawning them as fodder for your fights, some of these units will also have to be sacrificed to help upgrade buildings within your cemetery. A bonus to all of this is the fact that you’re given the choice how easy or difficult the next dungeon you’ll be challenging is. The higher the difficulty, the better the rewards. However, should you lose all of your minions, it’s game over. From what I’ve seen, there could be anything to be described as a flaw within the game at this stage, it’s the visual design. I can’t help but bring up Darkest Dungeon and while that was colourful and unique, this doesn’t have that unique selling point that has it stand apart from other titles. Without having that eye-catching visual design, the game will likely have to rely on excellent gameplay and word-of-mouth to grab peoples attention. This isn’t to say that can’t happen. The gameplay, from what I was shown, looks very compelling. It’s something I’m looking forward to playing, if only because it’s got more of the Darkest Dungeon gameplay – with a little more tactical nuance – that I love. 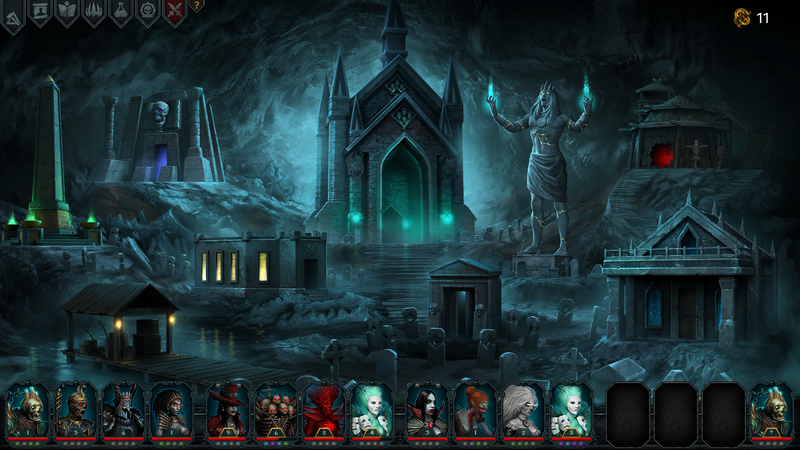 Iratus: Lord of the Dead is scheduled to release on Steam early access this summer, with releases on the PlayStation 4 and Xbox One soon after. There are plans to also make a Switch version of Iratus should the game be as well received, with the additional possibility of a mobile release.